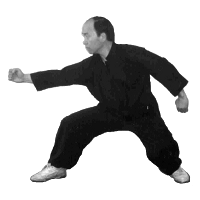 Master Su, Master Wong's long-time teacher, and Marit Ramberg have assembled a geneological tree of Baji Quan / Pigua Zhang practitioners. It spans from the teacher of Master Su's teacher to three generations of disciples. It also spans more than a hundred years and four continents. The tree, with over 200 members, is too large to display on this page but is detailed in a PDF file. 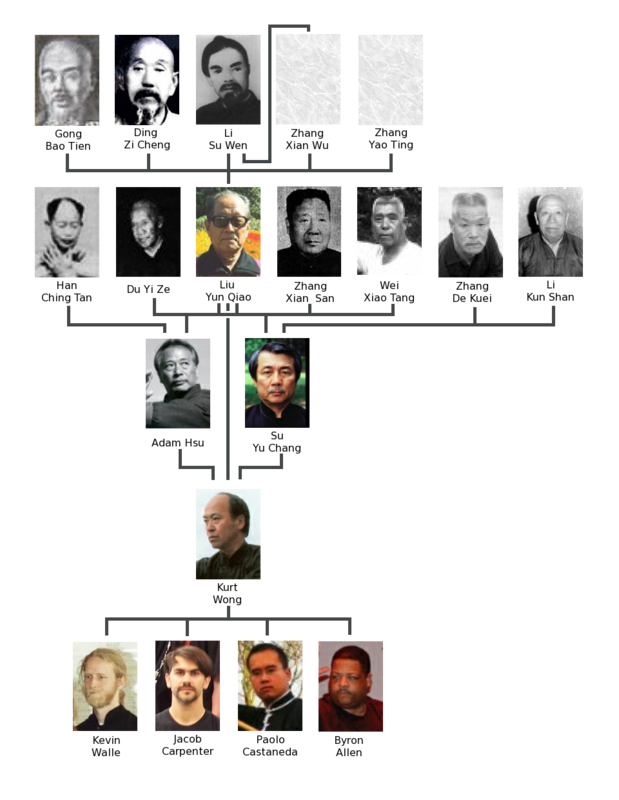 A geneological tree of Master Wong's lineage, as detailed by Sifu Paolo Castaneda, and complete with a biography of each master, can be viewed at OSLO WU-TAN. The tree shown below is a revision of Paolo's tree, with biographies only of Grandmaster Liu and his kung fu descendants.